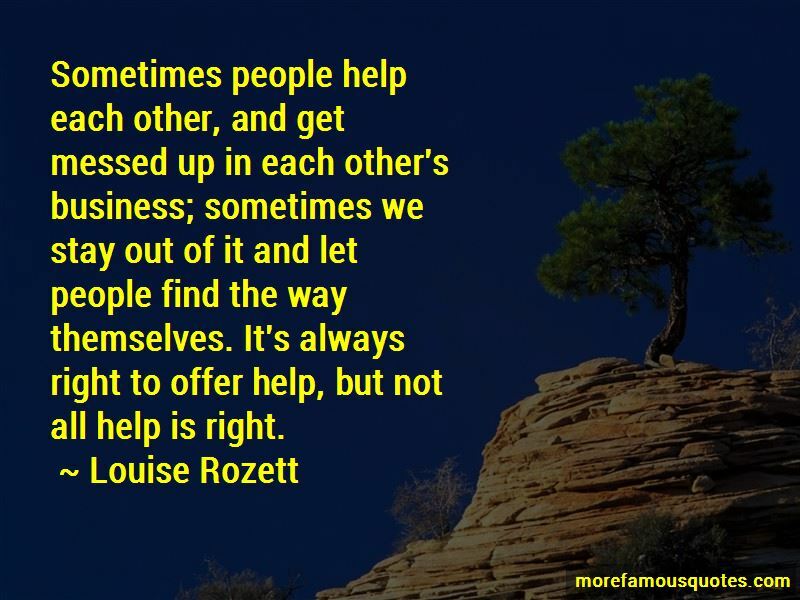 Enjoy the top 14 famous quotes, sayings and quotations by Louise Rozett. The most acrobatic thing that goes on here is a synchronized hair flip. If you're not used to compliments, they can really mess you up for a minute. “I did the wrong thing, and I lost him for real. But did you do the wrong thing? Jamie thinks it was the wrong thing. But do you? Sometimes people help each other, and get messed up in each other's business; sometimes we stay out of it and let people find the way themselves. It's always right to offer help, but not all help is right. Maybe it's me. Maybe I don't know how to have fun. Sweater, Metallica is one of the greatest bands that ever existed. That will never break up. Ever. Ain't you seen Some Kind of Monster? “I watch as his hazel-gold eyes take me in from head to toe, and it's so different from the way anyone has ever looked at me. I feel beautiful. I never feel beautiful, but I feel beautiful right now. When his eyes make their way up to mine again, I see desire in them. I also see there's a battle going on in his brain. "Jamie, I'll be 17 tomorrow. Stop thinking of me as that scared freshman." It is then that I know without a doubt that Jamie Forta loves me. It is written all over his beautiful face. 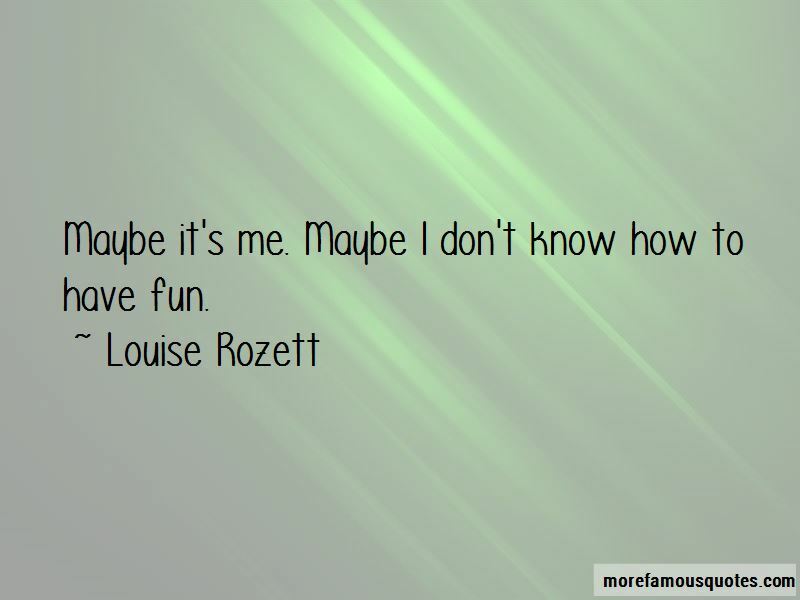 Want to see more pictures of Louise Rozett quotes? 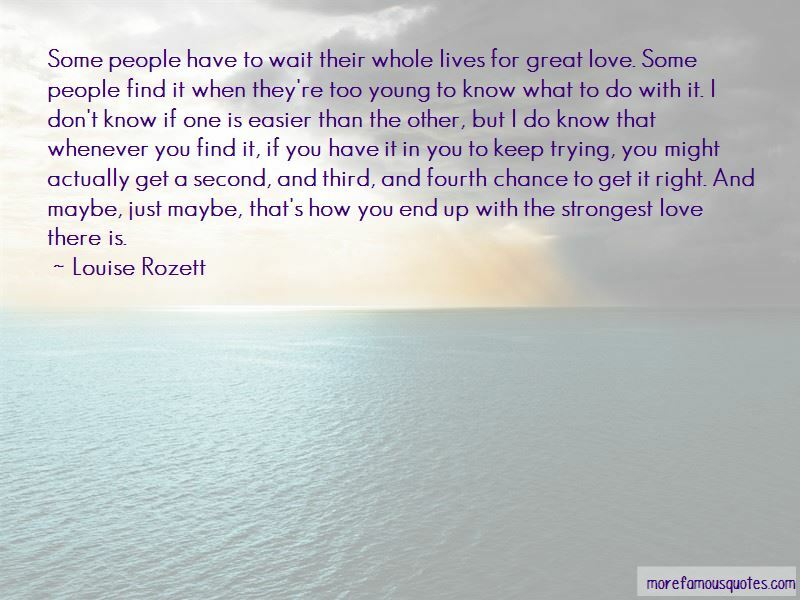 Click on image of Louise Rozett quotes to view full size.